Happy Easter! We’ve had a few days at home now to recover after our incredible spring! Time to cut the grass, vacuum clean the house and even tidy up a little! But we wanted to give everyone at home something to do too! We write a lot of tunes – to be honest – we have written a shed load of tunes over the years! If you hunt round on this website you can actually find the dots to all the tunes we’ve written that are on all of our album since our SeriousKitchen days. (This is by no means the total number of tunes that we’ve written though!) 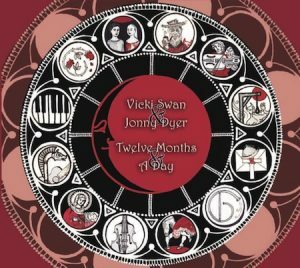 Since 2015 Vicki has been releasing a tune every Friday teaching the nyckelharpa. So following in this style she’s filmed all our tunes from Twelve Months & A Day (adding the Calle Svankvist tunes for good measure). Over Easter these videos are being released, one each day into a playlist that you can find on the Twelve Months & Day page. But just for good measure – here it is. Click here for the dots! Anyway – enjoy these tunes! 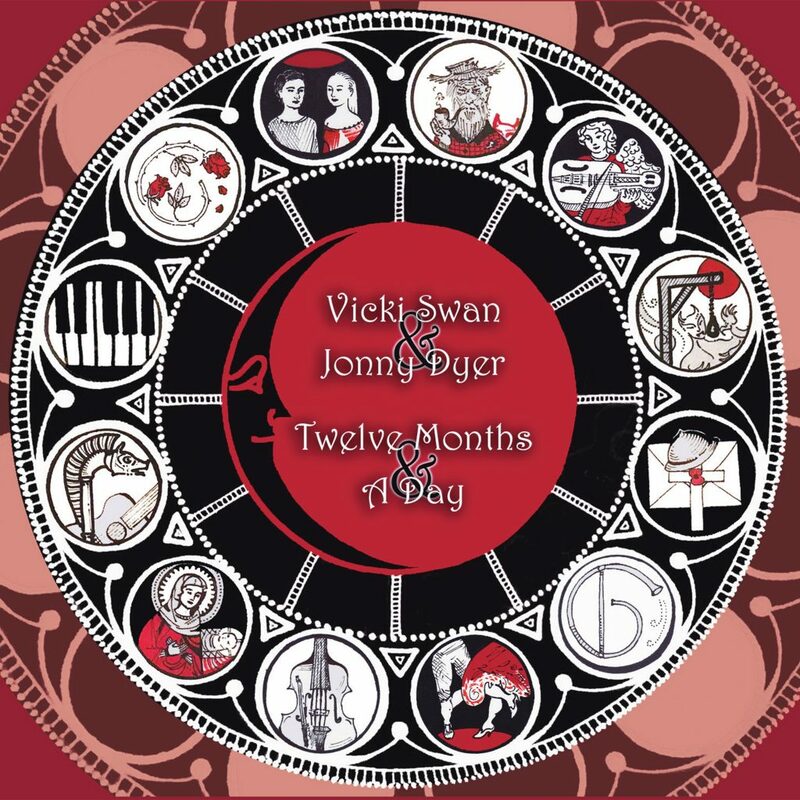 We are really please to announce that Twelve Months & A Day has now hit all good digital media! So if you are an iTunes person or a Spotify person you can listen to us in your preferred format! 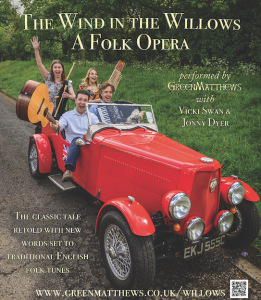 We’re very excited about the album, so watch the video sleeve notes and then listen to the album in full! The new album is coming! It’s been sent off to press, so we are very excited and also quite nervous. So we have opened up for Pre-Orders! We’ve been inspired by the cover to convert it into a bunch of little 25mm badges – so for every pre-order you’ll get a free badge thrown in! 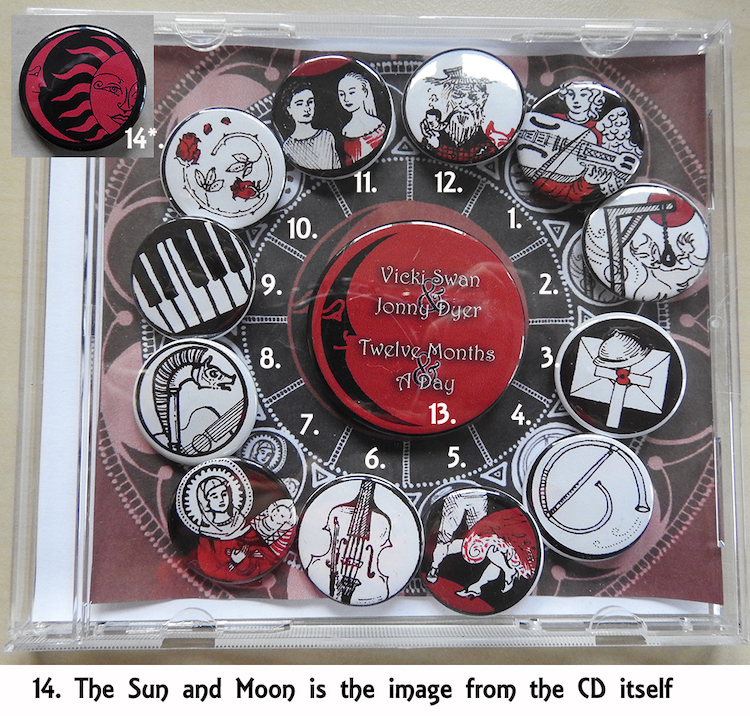 Each badge has something to do with the album, either a character or an instrument from a track. We’ve made a teaser containing a small snippet from all the tracks, if you watch it you’ll see some of the badges matched up with the tracks! 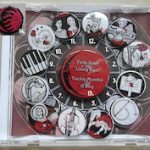 To Order your CD now – click here! We’re already well into week two of our Christmas tour for 2018 and we’ve been so busy I’ve only just had time to put the Christmas Boxset Deal back up! It’s altered slightly from last year as we have no Stones on the Ground left. So we added Tig! to the box set. Next year we’ll have our new album, but it’s not ready yet. So CLICK HERE to visit the box set page. 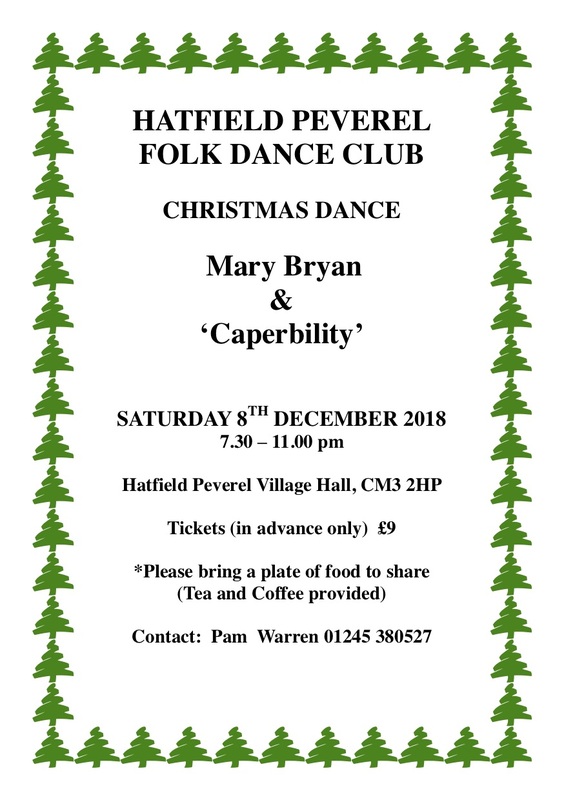 18.12.19 – St Barnabas Church Hall, Cressing Tye Green, Braintree (PnM) SOLD OUT! See you soon we hope! New Album Well Under Way! It’s been such a busy summer we’ve totally forgotten to make any blog posts here! We’ve been active on FaceBook and Instagram, so if you use either of those, make sure you follow us there! We’ve now got our heads down recording a new album and someone suggested I create a little ringtone out of a looping video I made whilst recording. So if you right click and save to disk you will find that this file is a ringtone. I had to zip it up to upload it here. So click away and make this your new (quite annoying) ringtone! It’s half way through May!! The year has flown by and my news years resolution to make sure I blogged more fell by the way side early on! We’ve just spent the last few days sorting out our mailing list. We’ve spent many years building up our mailing list and we’re resigned to the fact that the new ruling means we’re going to lose quite a few emails, but we hope we’ve done everything we need to do! So if you fancy helping us out and updating your details that would be amazing! Or if you’re not subscribed, then we’d love it if you did! As a thank you for updating you’ll be sent through to a page with a free music download! Click Here to go to our signup page! We’ve got a busy summer ahead of us, but we’ll tell you more about that in a different post! We hope you’re all warm and safe! See you on the road! We have finally reached the end of the journey for our brand new album An Invitation to Dance. When we teamed up with John Dipper around two years ago to form Purcell’s Polyphonic Party we had no idea we would end up creating a danceable listenable album of Playford Dances. In fact originally PPP was a conceptual stage idea – one which we haven’t finished creating yet. We got side tracked by dance and the beauty of the music. Our next job is to complete that concept, so watch out for news of part II! 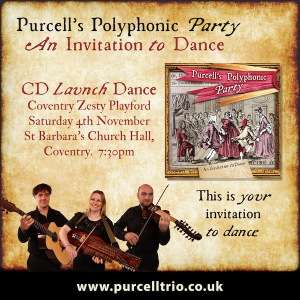 In the meantime we are launching the new album on Saturday 4th November at Coventry Zesty Playford. There are some of the dances from the album on the dance list! You can of course order the album now and it’ll be sent to you straight after the launch on Monday next week. This week we’ve been posting up a countdown (or should it be a count up?) of instruments you can find on the album. To date we’re on Day 8 and the double bass, but there’s a few days left before we launch! So below is a playlist including the teaser video and the instruments and also some buy now buttons!